Lose weight, quit smoking, get a better job, and save money. These are the most popular New Year’s resolutions, and the chances are you have committed to at least one of them yourself. While we can’t help you with getting a new job or losing weight, we can help you with saving money. 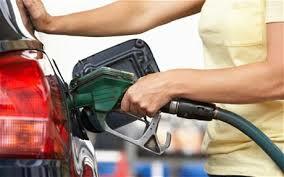 Your gas expenses each month likely outweigh both your car payment and insurance premium. Owning a car is not cheap, that’s for sure. But don’t worry; here are four ways you can save money on gas and stick to at least one of your New Year’s resolutions past January. One of the easiest ways to save money on your fuel is by making sure you are getting your gas at the least expensive station. You used to have to drive around searching for this information, but now it is given to you at the touch of the button with a smartphone app, like GasBuddy. You can also use your smartphone to check for traffic conditions before you head out the door to make sure you are spending the least amount of time driving as possible. Many grocery stores that also have gas pumps offer you savings (like $0.10 off per gallon) on your gas when you spend a certain amount of money at their store (such as Safeway, Kroger stores, and Winn-Dixie). Since you have to buy groceries anyway, this is a great way to save a substantial amount on your gas. The way you drive your car has a lot to do with your gas mileage. In fact, CNN Money reports that you can increase your MPG by 35% by simply accelerating slowly and stopping gradually. So driving defensively will not only keep you safe on the roads, it will also save you some cash. If you just fill up whenever your tank is starting to get empty, you are probably spending more than you need to. The day of the week has a big impact on how much you pay, with Monday through Wednesday offering the cheapest gas. You can’t blame the gas stations for altering their prices according to travel patterns: If you could bank on weekend travelers, you would too.